So if you don't know a lot of hip-hop history or need a refresher course because you're not 40 and not from the big Apple I suggest once again that you check out the Combat Jack show. The link is over on the right there. This dude brings it all to the forefront with some of the legends of the game and they tell you the real background behind a lot of the great history we only got the results of. 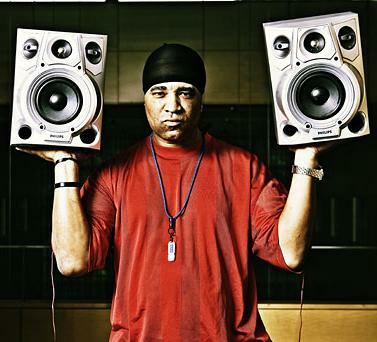 Recently I listened to Marley Marl, D-Nice, and even DJ Whoo Kid who while not old-school, can really bring you behind the scenes especially during the mid to late 90's. It brings to mind some of the New York Rappers of today and how they feel they are entitled to be the main event when it comes to rap music. Honestly a large portion of the early classic rap history took place in NY. I can't say all because while the nY artists dominated the airwaves and sales, there were still movements out West beginning and in the other regions as well. But it's evident that when you listen to these guys tell their tales that one of the main things is that everyone knew and interacted with each other. The stories are all so inter connected and thus woven into the tapestry of what rap music is known as it's easy to understand just why New Yorkers feel as if Hip-hop is theirs. It's history is synonymous with many of the boroughs and tales of the streets. Just listening to Marley Marl and and D-Nice tell the same story of how the Juice Crew and BDP started beefing and their reflections on it from two different perspectives is great to see well hear, but it paints such a picture. Part of what the problem is that now that hip-hop isn't based in NY when it comes to artists is that these stories today's artists have don't have any value. Those stories now belong to Atlanta, Miami, and New Orleans. The other thing is that since there are so few rappers who are at the top or battling it out, because it has settled down from those early days, is that not many other guys ever become popular enough from those cities that the stories, if they exist matter. I mean when No Limit was popping and Cash Money was trying to come up there was friction, there were stories. But no No Limit is gone and no one from that era and label are relevant to tell the stories of what happened in Louisiana during that time frame. That is the one thing that is unique to New York hip hop. So to all of the new artists I say this, learn your history and love and respect what history you have had. Realize this, you probably won't ever be getting it back. The world is different now.